United Peninsula Lodge No. 24 is the pinnacle organization of a number of proud Lodges which have consolidated and conjoined to create one of the finest examples of Freemasonry within the jurisdiction of the Grand Lodge of British Columbia and Yukon! Men (Seekers) who are considering becoming Freemasons are particularly welcome, and the information provided in this website should help you decide if you wish to embark on a "Masonic Journey!" Mt. Newton Lodge No. 89 was formed in 1920; by 1924 the lodge and the ladies of the Eastern Star Ruth Chapter No. 22 had formed a joint venture to build the existing building on the northern part of the lands. The ladies had been given the land which had a value of $1,200 and the Lodge contributed the labour and cost of a lodge building which was approx. $12,000 (finished in 1929). In 1924, the Lodge and Star together formed a society, the Saanich Masonic Temple Association (SMTA), and agreed, as confirmed by the B.C. Society Records, to hold 12 shares of that society by Lodge members, and 3 by Star members. The title to the land and building was put into the name of that Society, which still exists today in the same form (the Lodge actually bought a further piece of land to the south which became our parking lot). Be Sure to Check the Events Page For Upcoming Lodge Meetings and Special Events! Great News: no change in member dues from last year! Click the link below for the encrypted renewal form and you can complete the whole process from the comfort of your desk at home (and even collect points on your credit card)! United Peninsula Lodge No. 24's Mt. Newton Masonic Library has now been fully & professionally catalogued and indexed. Books from this extraordinary collection (which many say rivals the archives of the Vatican) may be borrowed by members of the Lodge, with access during both regular meeting nights, as well as the Monday morning coffee meet & greet. Members borrowing books are reminded to complete the logbook in the library! United Peninsula Lodge No. 24 meets on the first Wednesday of each month (except July & August), and the Lodge tyles at 7:30 PM; open to all Masons in good standing. A post- Lodge Festive Board is also held after every meeting to close each evening on a high social note! The Lodge also hosts an informal Coffee Club which meets at the Hall every Monday morning (except holidays) at 9:00 AM. 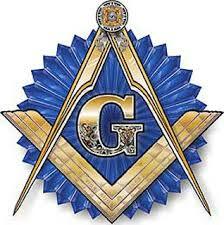 All Freemasons and their guests are welcome! The Ancient Arabic Order of the Nobles of the Mystic Shrine, also commonly known as Shriners and abbreviated A.A.O.N.M.S., established in 1870, is an appendant body to Freemasonry. In 2010, the Shriners in North America, changed their name to Shriners International. The Sidney Shrine Club is open to any Master Mason to join, and we always welcome new members. Our club raises and gives to children's charities in excess of $50,000 per year, and has done so since 1986 when the club was constituted. We meet on the 3rd Thursday of the month at 7:00 PM at the Mt. Newton Masonic Hall. For further information, please contact the Club Secretary, using the form found under the "Contact" tab. The Order of the Eastern Star was founded in 1867, as a fraternal organization of men and women who are either Master Masons or related to one. From its humble beginnings, it now proudly claims over one million members throughout 20 countries, making it the largest such organization in the world. The Order of the Eastern Star raises over one million dollars annually to benefit humanity. Many national and local charities are among the projects supported by its members. Through this fraternal service to humanity its members strive to build a better, more fulfilling way of life for all. Members of the Order of the Eastern Star are dedicated women and men who sincerely reflect the spirit of fraternal love and a desire to work together. Jobs Daughters is a premier organization for young women that provides a wholesome environment based on the foundation of high morals, love of country, love of family and friends and respect for others throughout the world. Although not meeting at the Mt Newton Masonic Hall, Victoria boasts two Bethels, including No. 2, which is the oldest in Canada! DeMolay is the premier youth organization dedicated to teaching young men to be better persons and leaders. A new chapter has been formed in Langford, and all young men 12-21 years-old should consider joining! Please click the DeMolay icon (above) for their website! A Break from the Workaday Routine: Masonry brings together in lodge men of diverse backgrounds, where the daily pressures of a career canbe left outside the door and where fellowship is the common theme. These attributes are summarized in the tenets, or fundamental principles of Ancient Freemasonry: Brotherly Love; Relief; and Truth. If these values address your needs, Masonry welcomes you!